“We stand on the brink of a technological revolution that will fundamentally alter the way we live, work, and relate to one another. Asia—both East Asia and Southeast Asia—has quickly and forcefully embarked upon a one-way, no-return trip to the future, mainly because it has no choice. By most any measure from commerce, trade, employment, quality of life, or any avenue to meaningful wealth creation, the present is not a good place for Asia to be. It’s struggling and trying to work itself free, and really needs to be someplace else by 2050 or face some very dire and crippling consequences. Fortunately, every country in Asia is acutely aware of the need for the perilous journey and are already making formidable—and in some cases herculean—efforts to try to ensure that the trip has the best chance for success. There are plenty of risks in the venture, but not to risk would be certainly calamitous to all. Chief among those technologies are robots and robot-driven automation; technologies that cut across and impact Asia’s every need—excepting maybe for the looming disruption from declining fertility. But, even with Asia’s lack of productivity in making humans there’s still a chance because of automation. 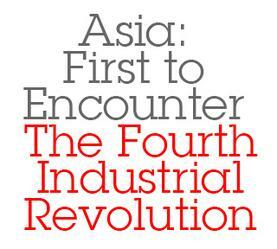 Asia is first out of the blocks and virtually alone on this journey of necessary and dramatic change, and as such, stands the best chance to realize the astonishing and unexpected benefits of being the first to come through to the future’s other side. North America, in particular the United States, is all too comfortable with its present success and is risk averse because of it. Just out of bed after a seven-year bout with The Great Recession, the country mistakenly thinks it has plenty of time to putter around with each step toward transformation. More than likely, the United States will loll around at the money trough until almost too late, then lean heavily on its inexhaustible supply of invention and innovation—a character trait de Tocqueville thought its finest—and win like Citation by a length at the wire. Of course, the United States isn’t a continent although it acts like one, and has seemingly plenty of time on its side. Asia is running out of time to directly or indirectly lift up the quality of life for its over 3 billion people (don’t forget India’s 1.2 billion people who are also Asians). 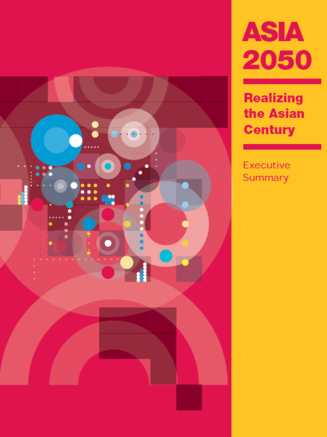 Critical to transformation will be what Asia does with automation over the next five years 2016-2020. Klaus Schwab, founder and executive chairman of the World Economic Forum, recently put into perspective the fundamental change afoot in the world that needs addressing right now; essentially, the reasons for Asia’s journey. Asia has opted to get to Schwab’s land of promise very much sooner than later. Automation is at the core of the process ahead, and robot-driven automation at the core of cores. During this journey through the Asian Century comes the best possibility to witness the rise of the world’s first automated society; think Smart City, Smart Country on steroids, and your imagination’s vision of what it will be truly like is almost half-way there. The other half will be an astounding surprise. Who’s doing what so far? Like no other place on the planet, Asia’s quick reach for automation is well underway. Places like Guangzhou, where the demand for robots has been increasing at a rate of more than 30 percent annually, has forecast 80 percent of its manufacturing operations to be using industrial robots and related “intelligent” technologies by 2020, and five years later for the country at large, according to its “Made in China 2025”project. The SME ecosystem around Tokyo has similar aims with its dramatic uptake in robot-driven automation, as part of Prime Minister Shinzo Abe’s “robot revolution”, which together with 200 companies and $6.4 billion per year, will transform Japan, according to official projections, into an “intelligent manufacturing” colossus by 2020. For markets, East Asia looks down the South China Sea to the 10-member ASEAN Economic Community of Southeast Asia, with its 640 million potential customers, and where a dizzying pace of north-south business deals throughout 2015 have markedly tightened relationships. Like theJapan-based JFE Steel’s foreign direct investment (FDI) of $215.2 millionto acquire a 5 percent stake in an integrated multi-billion dollar steelmaking plant with Taiwan’s Formosa Plastics Group. Located in Vietnam’s Vung Ang Economic Zone in Ha Tinh province, the plant is the first integrated steelmaking operation in Southeast Asia and will cover “every stage of the steelmaking process from the blast furnace to the rolling mill, and will also contain a port facility for easy shipment.” Steel that could head to neighboring Thailand’s burgeoning car manufacturing plants, and westward still to the relief of Joko Widodo’s very needy factory Indonesia with its population of 252 million crammed together at the rate of 140 people per square mile. Just as importantly to East Asia is the ASEAN’s bounty from its vast and vital agricultural capabilities—for openers, the world’s largest producer of rice and natural rubber; plus other basics that can easily supply much needed sustenance and more to its northern neighbors. Malaysia’s Top Glove, for example, the world’s largest producer of rubber gloves, has twenty-seven plants in the ASEAN region, and its 44.6 billion latex gloves annually make it into nearly every operating room, food plant, ice cream parlor, and hair salon in the world. With the commodity price of rubber rock bottom for the next two years and the Malaysian currency, the ringgit, at a 17-year low, Top Glove realized a 38.9 percent year-on-year growth while its shares jumped 110 percent. Chairman Lim Wee Chai is now looking to expand into condoms and catheters. As for rice, well, it’s hard to conceive of any country in Asia not dependent on it. The interplay, interconnectedness, interdependence of East and Southeast Asia fit amazingly well, like a puzzle just waiting to be pieced together; such togetherness is beneficial to all…and necessary, especially so in light of the region’s devastating financial crisis of 1997, which took seven maddening years from which to escape. Asian geography (see: MAPS), as it has been for millennia, seems uniquely arranged for intra-Asian trade and, as such, very conducive to the modern commerce necessary to exploit the full potential of automation. In fact, eleven of the twelve largest ports in the world are on Asia’s coast; except for Singapore all are in East Asia. From Sapporo in the Sea of Japan, south through the South China Sea to Singapore and Indonesia’s thousand-island archipelago, even across the Andaman Sea and Bay of Bengal to Chennai, the trade routes and deep-water port access from East to Southeast Asia are downright chummy. Nothing is a stretch, even for the most complex supply chains. Asia’s one-way passage to automation is a lot like the dangerous journey of Lady Wang Zhaojun, concubine to the Han emporer Yuan (see above), who in 33BC was offered as a peace bride for a Xiong-Nu chief then threatening Han borders. 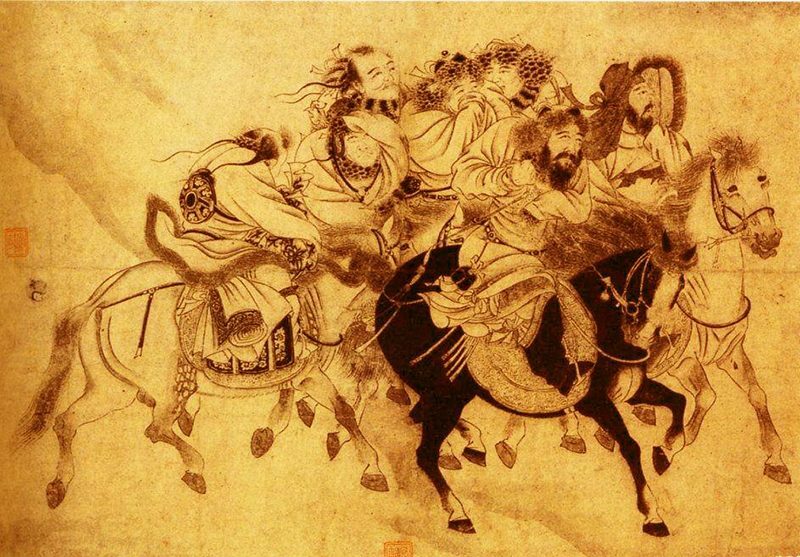 Leaving the certain comforts of the Han palace in the dead of winter for an uncertain life on the grasslands of the far north, for Lady Wang Zhaojun there was no turning back from her perilous trek into the unknown. In the end, she survived and thrived, becoming queen of the Xiong-Nu and bestowed with the title of First Lady of Xiong-Nu Peace. Asia would do well attempting to match Lady Wang’s success in braving the unknown.